So, you know those super yummy Maple Oat Nut scones that Starbucks sells? Yes, the ones that are NOT vegan?!? 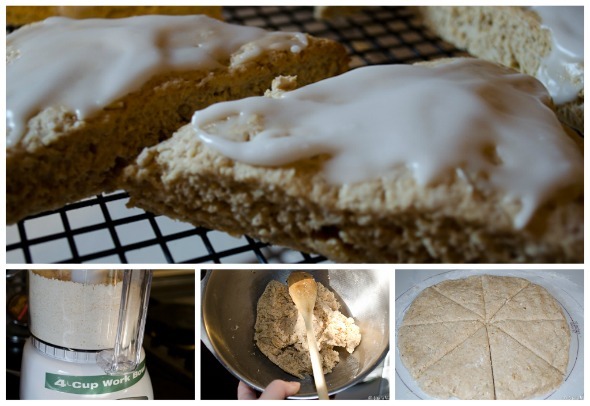 Well, since moving into this vegan life, these scones are something I’ve been missing….A LOT! I’ll even admit that within the last couple of years, I have had one now and then – I plead guilty to pure weakness! Of course, it’s easier to avoid them now with all the caloric displays that are placed right out front of the snack cases…but I digress…. Not long ago, I found a “veganized” recipe for these yummy delights created by Char Thomlinson over at the Char’s Kitchen blog. (which is one of my new favorite vegan blogs too!) 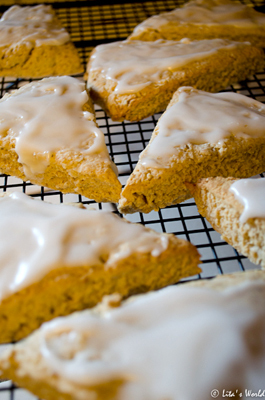 This recipe is so super simple and, honestly, you can make these tasty scones in about 1/2 an hour – basically… there’s no excuses not to make them. After finding this recipe, I needed to make them ASAP. 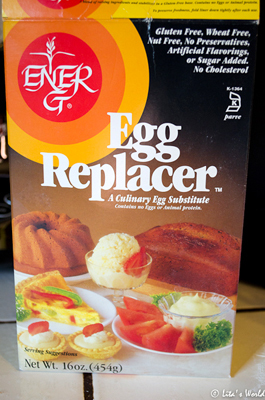 Of course, as often happens in my kitchen, I didn’t exactly have all the “correct” ingredients, but I had “close” ones. The desire to make them was so great, that I went ahead anyways. No matter, my version was incredibly tasty too. I am sure though that having all the “actual” ingredients will make the scones taste even closer to the coffee house ones. I’ll highlight below what I changed so you’ll know what other options work fine too. 2. 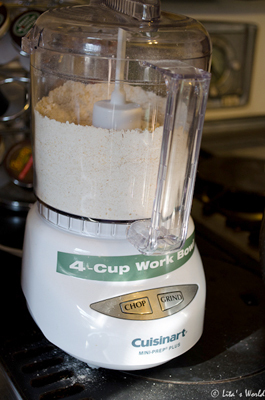 Grind oats into a flour using a food processor. 3. 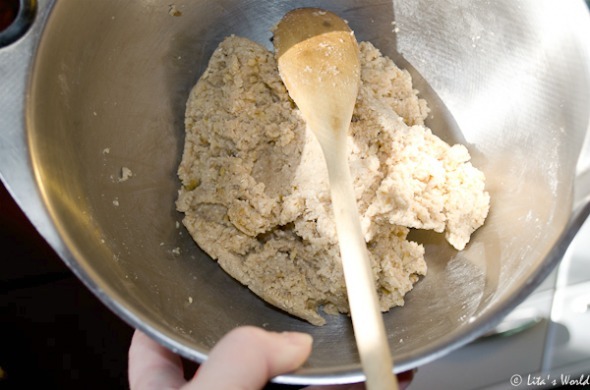 Mix the oats together in a bowl with the flours, sugar, sea salt and baking powder. 4. Stir in the maple syrup and Earth Balance and set aside. 5. 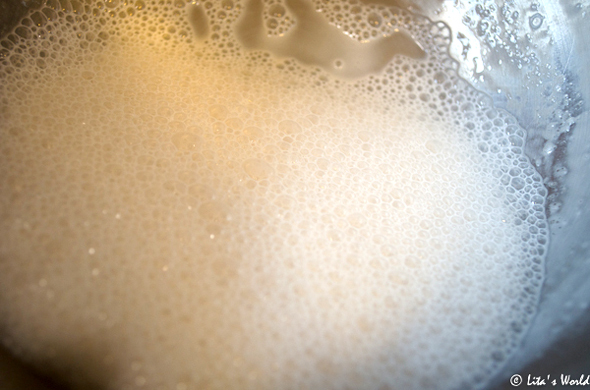 In a small bowl, beat the egg replacer with the Silk creamer and maple extract (almond extract) until foamy. 6. 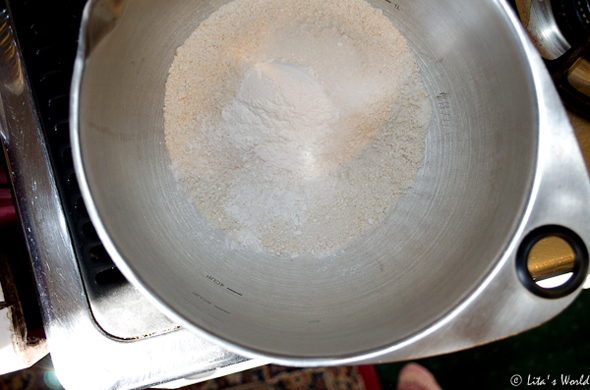 Pour this mixture into the dry mixture and stir until well-combined. 7. 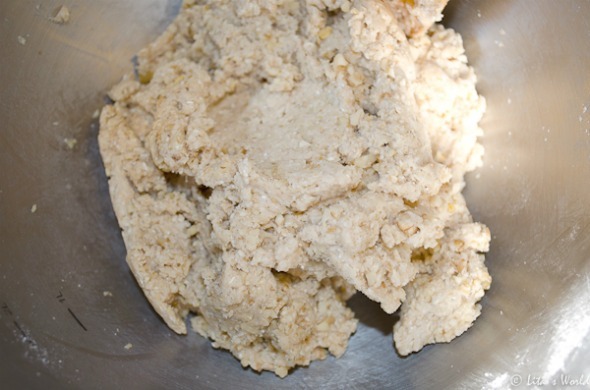 Fold in pecans (walnuts) and mix well. 8. 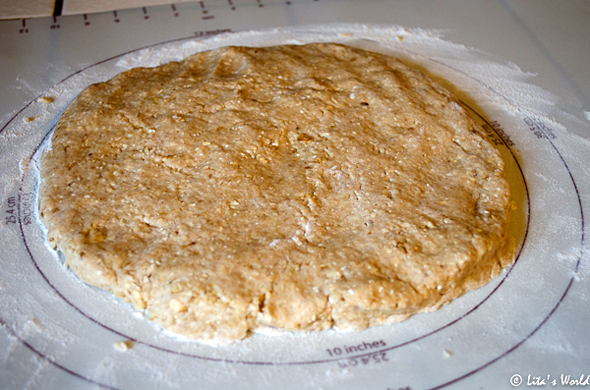 On a floured surface, pat and knead the dough into a circle, roughly 8-10 inches in circumference. 9. 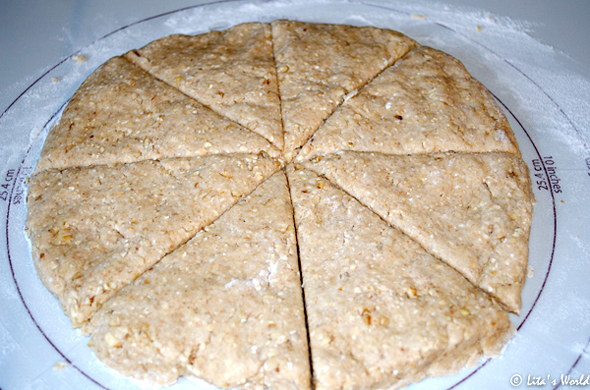 Cut this “pie” into 8 wedges and place the wedges on a baking sheet covered with parchment paper. 10. Pop into the oven for 13-15 minutes – until lightly browned. While the scones are baking, make the glaze from the directions below. 11. When scones are done, place them on a wire rack to cool for 3-5 minutes. Spread the glaze evenly on top of each one (you will probably have glaze left over). 1. 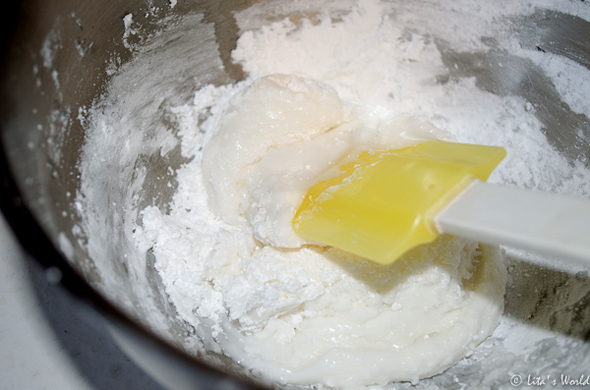 Stir together the icing sugar, maple extract (almond extract) and water together and set aside. OMG I make them all the time now – they are so delicious and the whole family loves them!!! AWESOME recipe! !